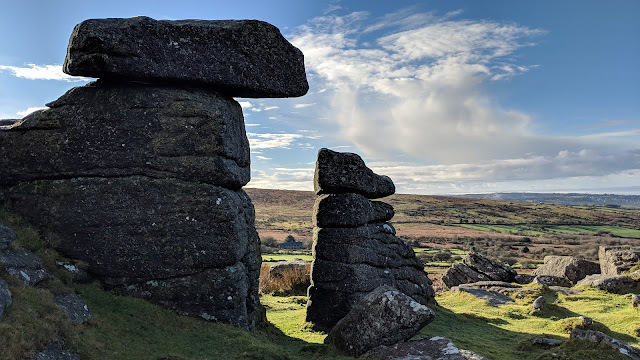 After visiting all of the tors and rocks of Dartmoor listed in Ken Ringwood's book I delved deeper into tor bagging, knowing that there were far more than that list and a great deal more to discover. There began an ambition to create an online resource listing all the known outcrops. but such was the task I began to think the goal would never be realised. Fortunately, and I am eternally grateful to these two, Tim Jenkinson and Max Piper were just as keen (or mad) as I was and we started to gather together the names of over 740 outcrops and notable rocks, together with photos, descriptions, credits and references of each one. Tim had already compiled a huge list of the Lesser Known Tors and Rocks of East Dartmoor, his knowledge of the subject and ability to unearth gems of information when researching has been the, pardon the pun, bedrock of the website and shaped the way we were to display and classify each outcrop. Max has shown the enthusiasm of youth, his willingness to get the job done well has seen him applying the same dedication to any task thrown at him. His contribution to many of the descriptions has also been invaluable. Add to that, his addiction to seeking out new tors has increased the number in the database substantially, almost to a point where we were begging him to stop! It has been one hell of a journey, not just in collecting the wealth of information, but, for me, learning how to build a database for a responsive website that works just as well on a smartphone. 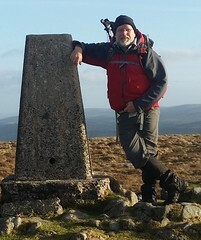 It was always a goal to create a resource that other baggers could tap into when out on the moor (data signal permitting, of course!). I do hope you enjoy the website. Whilst the task will likely never be complete, with the list of tors increasing no doubt, the bulk of the task is done and hopefully, I won't be neglecting the blog for so long in future!